Agents can use Contactually to build contact database by pulling in information from various business tools. Ferry's venture fund, Ferry Ventures, also holds stakes in BoomTown and rentLEVER, two real estate tech startups, among other companies. 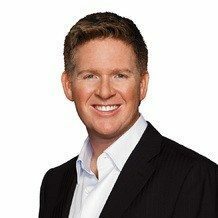 Washington, D.C.-based Contactually, a real estate customer relationship (CRM) that can aggregate data from various business tools, has raised $8 million from investors in a Series A funding round, including a contribution from celebrity real estate coach and tech startup investor Tom Ferry. Contactually is the second most popular customer relationship management system among Ferry’s clients, said Ferry, who claims on his website to have influenced more than 500,000 real estate professionals. Contactually’s upside, smart leadership, high usage among his clients and his view that he can “make a positive contribution” to Contactually were among the reasons why he invested in Contactually, Ferry told Inman. Ferry made the investment through Ferry Ventures, a venture firm he said is separate from his coaching company, Irvine, California-based Your Coach. Ferry Ventures also holds investments in BoomTown, a marketing and contact management platform and rentLEVER, a vacation rental management service, he said. Contactually can connect to agents’ email, calendar, phone, spreadsheets and other business tools to build an up-to-date, “smart” contact database, said Contactually CEO Zvi Band. Agents can organize contacts by dropping them into “buckets” (e.g. “buyer leaders”). What sets Contactually apart from the boatload of other contact management systems out there? Agents can also use the feature “Programs” to “define a unique set of actions to, with or without their [contacts’] approval, go out to their contacts.” Keller Williams Realty agents, for example, can use Contactually to put contacts on “33-Touch” campaigns so they know whom to email or call on a given day. The funding round was co-led by Rally Ventures and Grotech Ventures with participation from Correlation Ventures and Ferry Ventures, as well as prior investors including Point Nine Capital, Middleand Capital and Bull City Venture Partners. Contactually had previously raised $4 million from investors including Boston Seed, 500 startups and the SaaS Syndicate on AngelList.